Zostel Varanasi i Varanasi, Indien: Reservér nu! 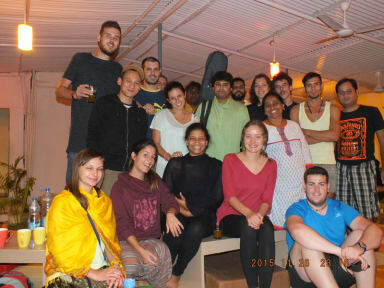 Zostel Varanasi is a top-rated, rustic but exuberant backpacker hostel - perfectly mirroring the spirit and essence of the old, hallowed city of Banaras. Located right in the heart of the city and yet not far from the Ghats, Zostel Varanasi provides the right comforts one looks for. 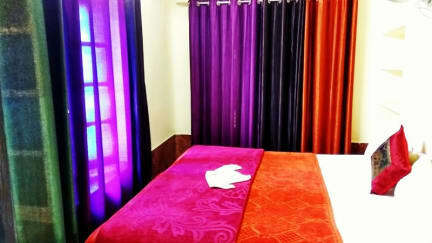 A place to relax amidst the chaos of the city, we offer mixed dormitories as well as the female-exclusive ones. If the dreamer in you is calling out, we’ll hear it well. Every day in Zostel is happening, complete with doses of laughter and experiences. Chill out with the coolest set of people from around the world and travel without hassles. Our friendly local staff will help you plan and explore the magnetic pull of Varanasi's old world charms, one of the oldest inhabited cities in the world. Varanasi, with its narrow alleys and tasty street food will make you fall for it. A quite nice place to retreat after a hectic day in Varanasi, a good way to meet new people, and very helpful staff - I ended up stying here 4 nights.